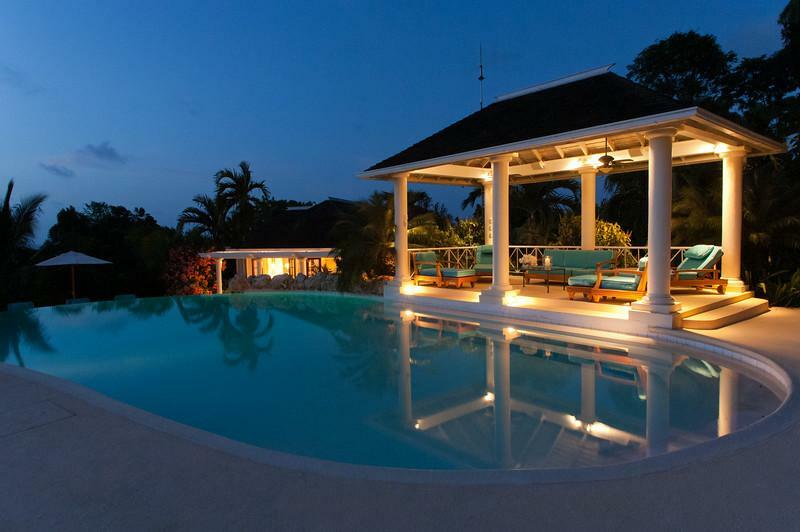 The exquisite Kenyan Sunset Villa is one of the newest additions to Rose Hall, a residential complex comprising several fine luxury villas Jamaica. 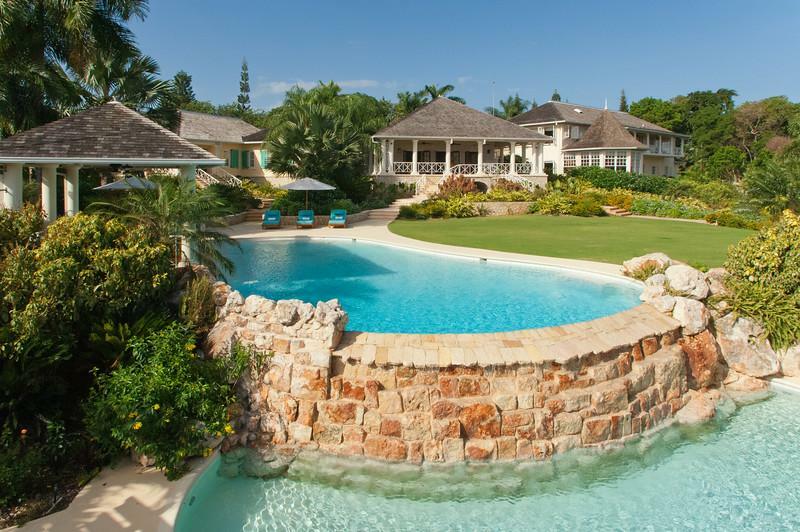 Designed for golf enthusiasts, the 5-bedroom villa is perfect for families. 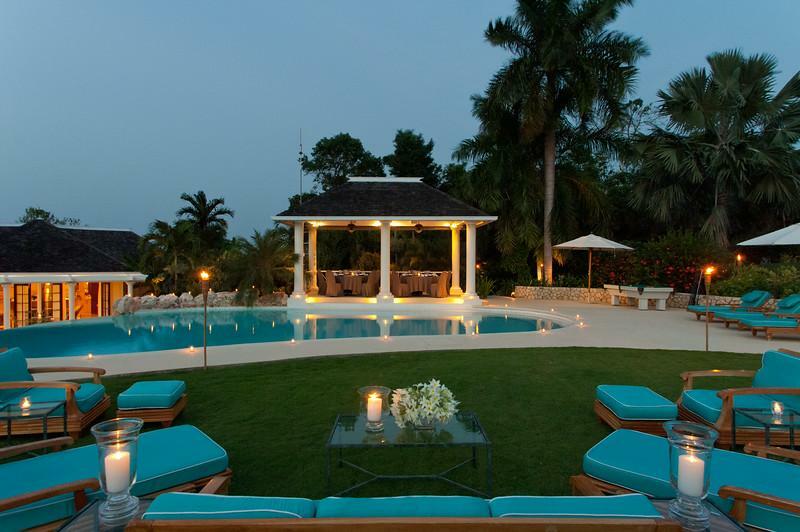 Lavishly spread across two acres of exquisitely manicured gardens, the Jamaica villa shares borders with the renowned White Witch Golf Course. 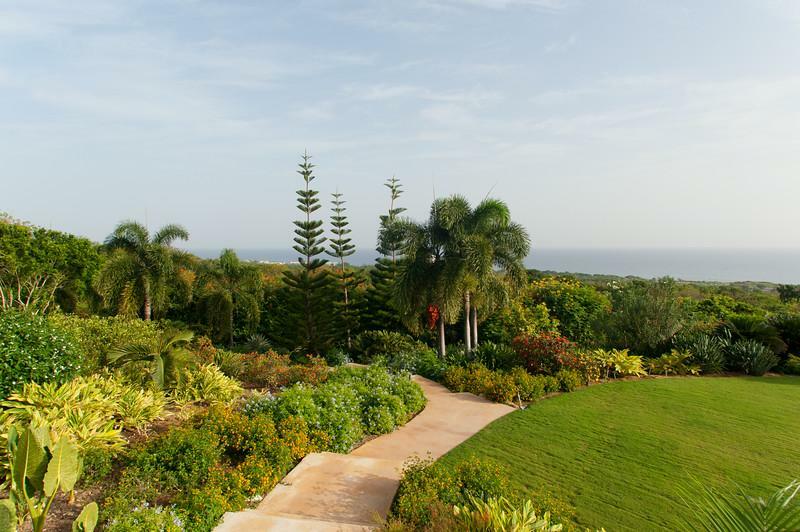 You can simply walk onto the 4th tee from your villa’s backyard! 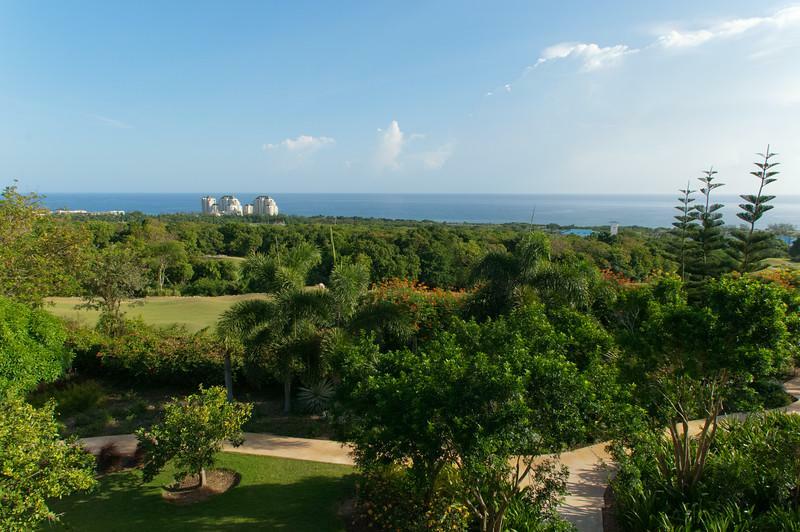 Not only do the Jamaica villa’s guests get discounted greens fee, they also have the option to choose among two more golf courses, Half Moon and Cinnamon Hill that are just at a five minutes’ drive. 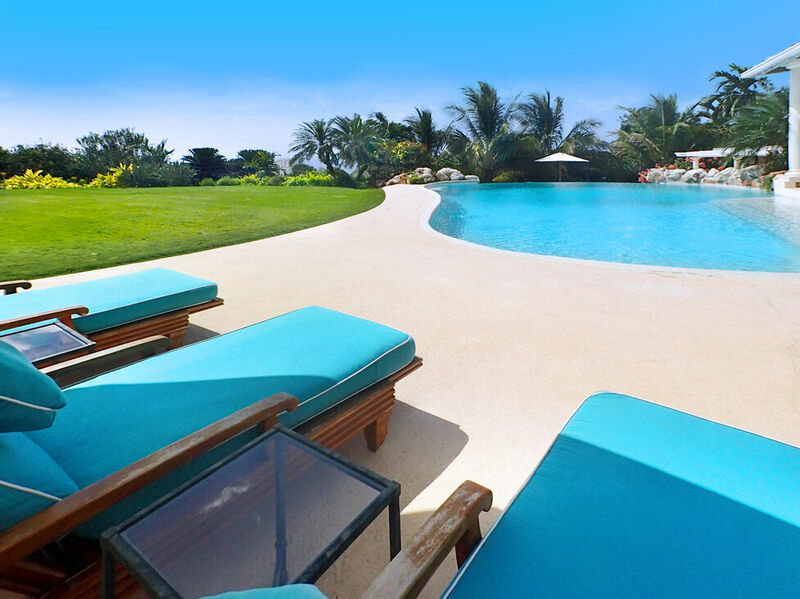 Kenyan Sunset Villa is centrally air-conditioned with individual controls in every room. 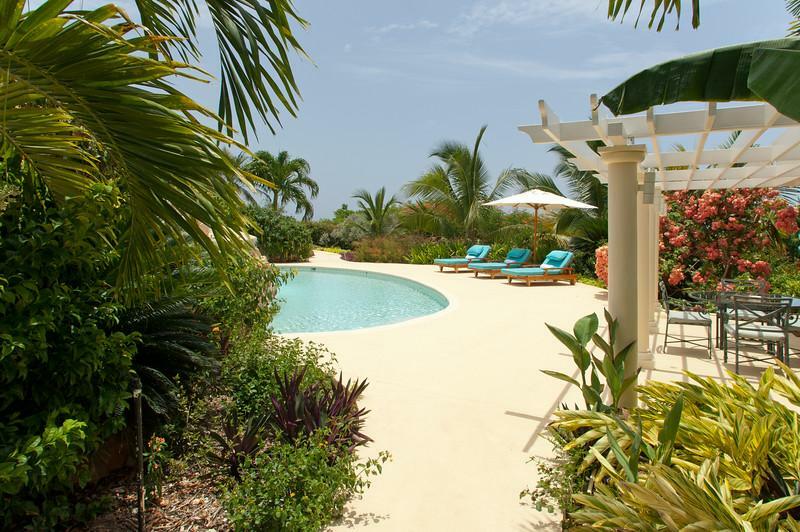 The three bedroom luxurious vacation home also offers a separate two bedroom guest cottage. 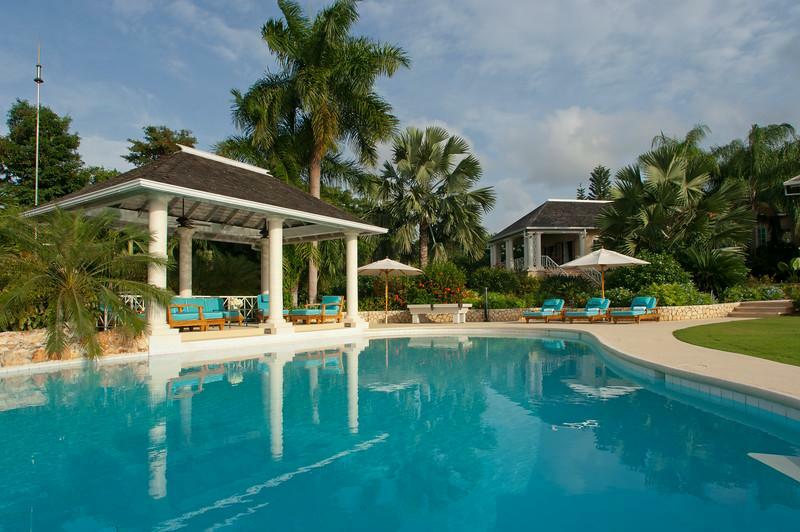 Altogether you get to enjoy five bedrooms with en-suite bathrooms and two powder rooms. You can get two additional inflatable queen-sized aero beds at very nominal charges. 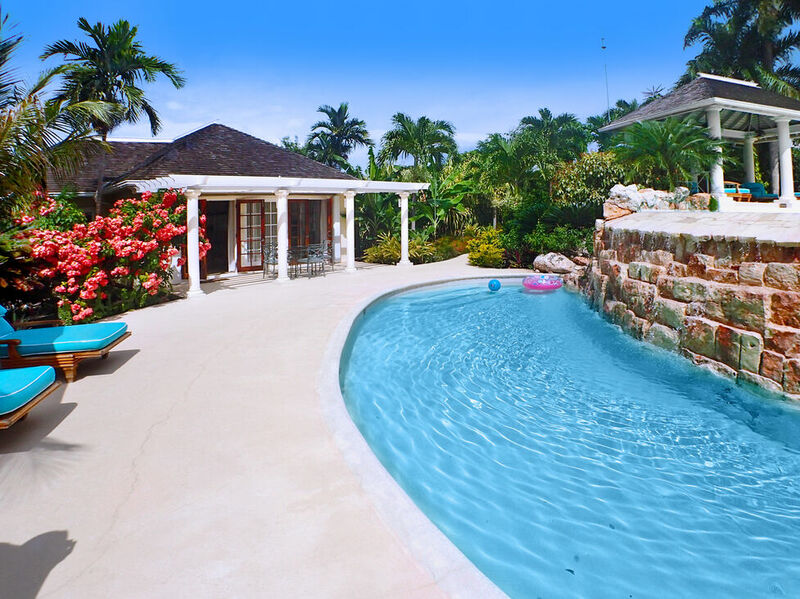 The 24’ x 45’ salt water infinity edge swimming pool cascades into another 3’ deep children’s pool. 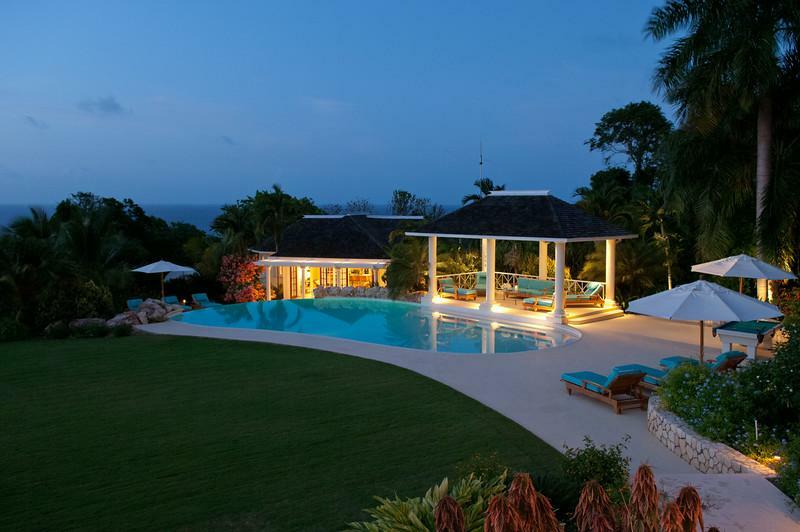 Guests enjoy an ultimate relaxing experience as they relax on the very comfortable lounges around the pool area at this luxurious villa rental in Jamaica. 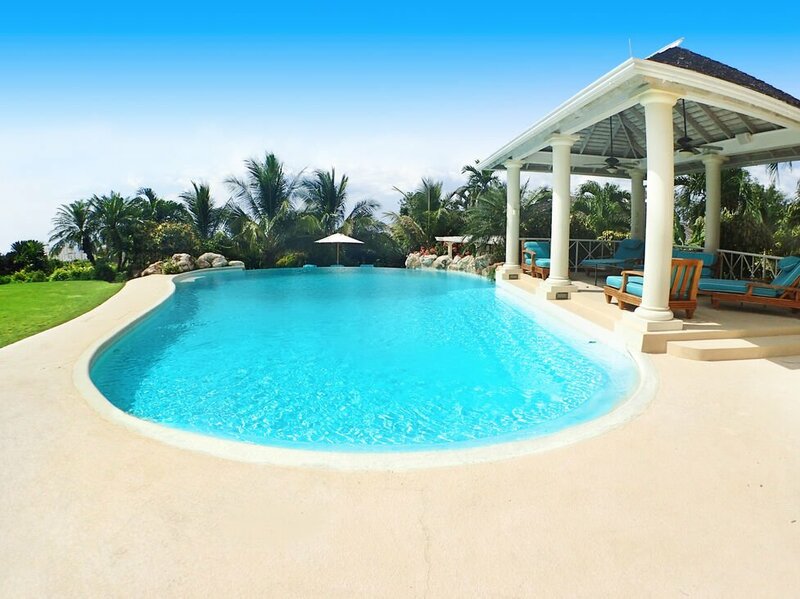 The chlorine free pools are excellent for refreshing swims and very child-friendly! 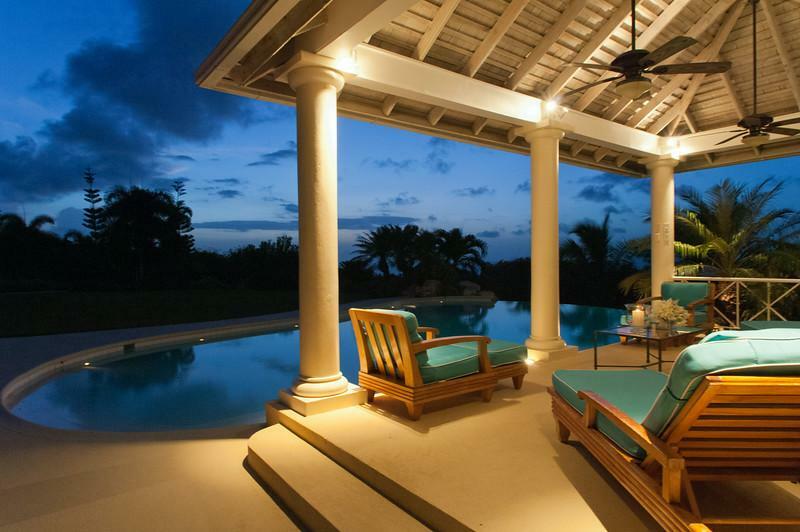 You will have memorable views of the most amazing glorious Caribbean sunsets, which is how this villa gets its name! For those who need to stay in touch with their workplace, there is a fully equipped office with desks, laptops and a printer-scanner-photocopier. 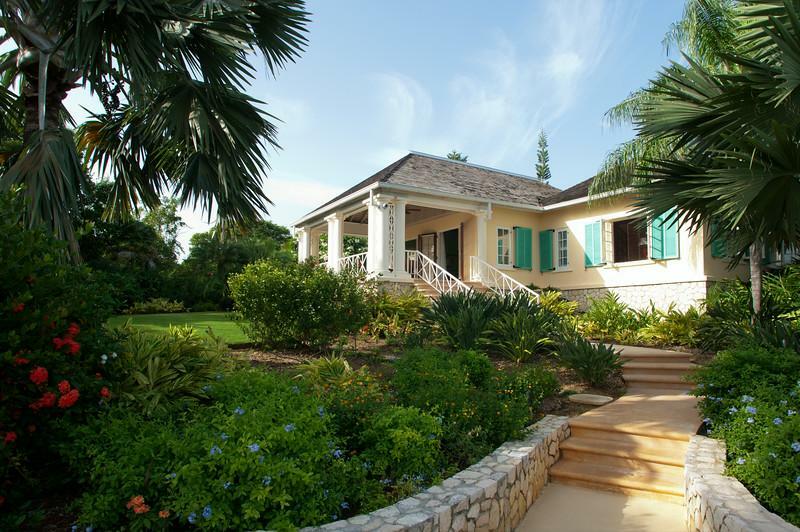 A powder room is attached and Wi-Fi is available throughout the villa in Jamaica. 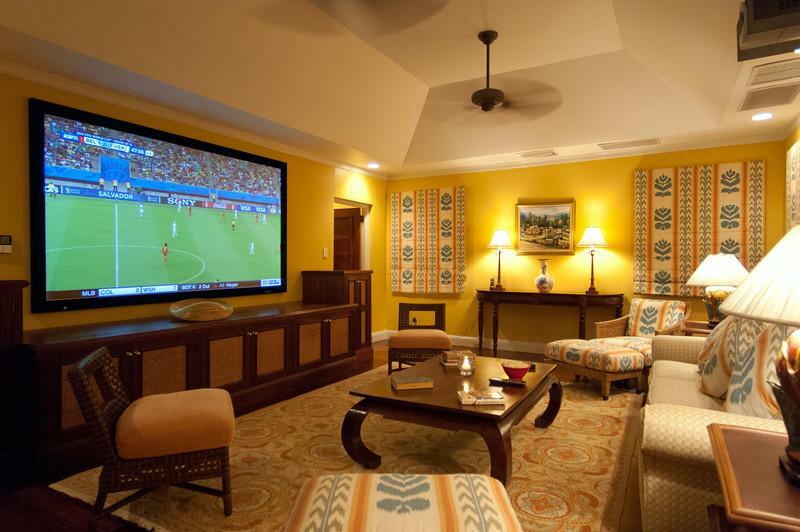 The movie theatre is furnished with a 120” screen projector screen for DVDs and Direct TV. Additional Samsung SmartTVs are provided in the cottage, gym and theater. A 34-speaker sound system with individual controls has been fitted throughout the property. The fitness conscious ones will thoroughly enjoy the full-equipped gym. The air-conditioned gym is very spacious and comes fully-equipped with step-up, treadmill, elliptical, bench, weights, massage table and power balls. There is an attached full bathroom with shower. You can also enjoy the Samsung SmartTV and drinks fridge. There is also an outdoor pool table. The full staff at Kenyan Sunset Villa includes a chef, housekeepers, butler, laundress, housekeepers, gardeners and a head of house. 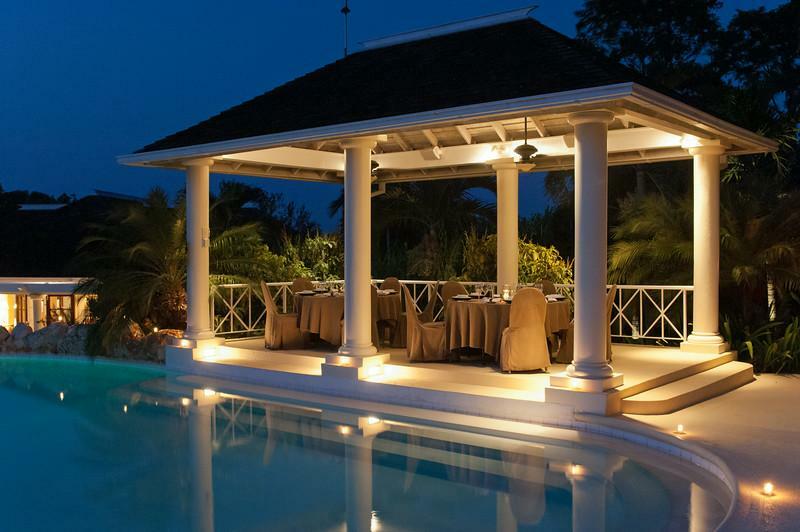 Proficient and attentive, the staff offers a pleasant and warm welcome to the guests, serving them with traditional Jamaican hospitality. The chef is highly skilled and prepares the most delicious meals in your state-of-the-art contemporary kitchen. The security at the villa is excellent. Kenyan Sunset Villa also offers medical facilities as the head of the house is an Emergency Medical Technician. 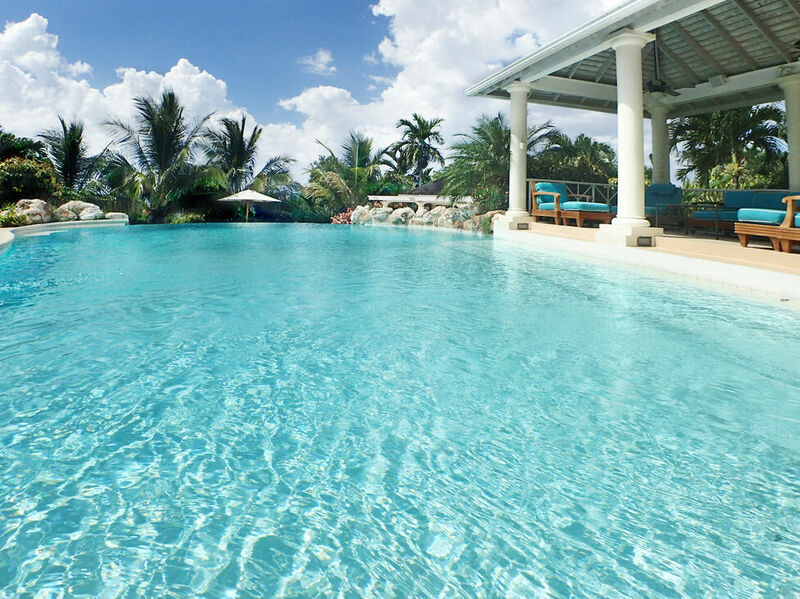 Be prepared to be completely pampered on your holiday at Kenyan Sunset Villa! If guests wish to explore the lovely golf courses nearby and their facilities, Kenyan Sunset Villa provides with two complimentary two-seater golf carts, ready to transport them to all that the neighborhood has to offer. The 4th tee of White Witch is virtually in your front yard, while Half Moon and Cinnamon Hill are five minutes away. 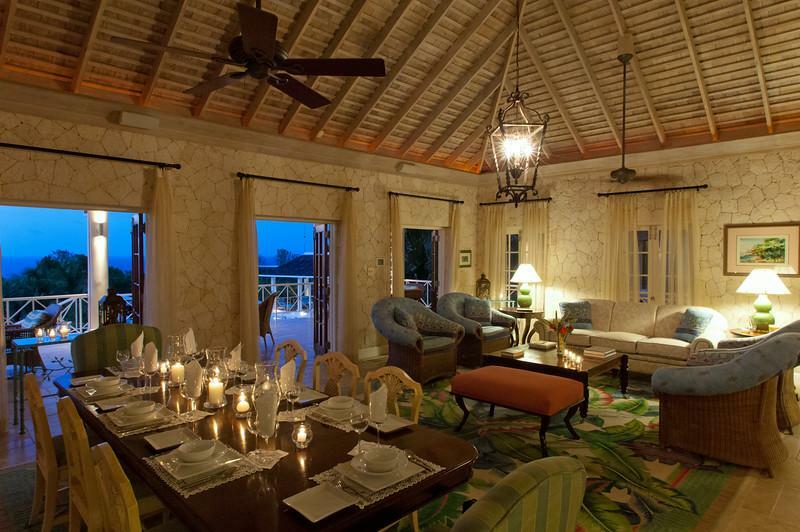 The main house at Kenyan Sunset Villa has a living room on the ground floor known as the Great Room with an inside dining table that seats 12 people. 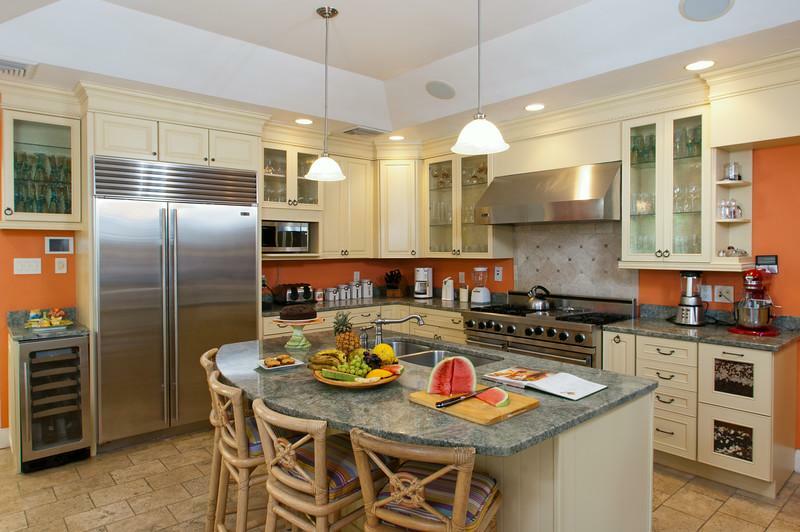 The fully equipped kitchen is contemporary and is adjacent to a sunny breakfast room. 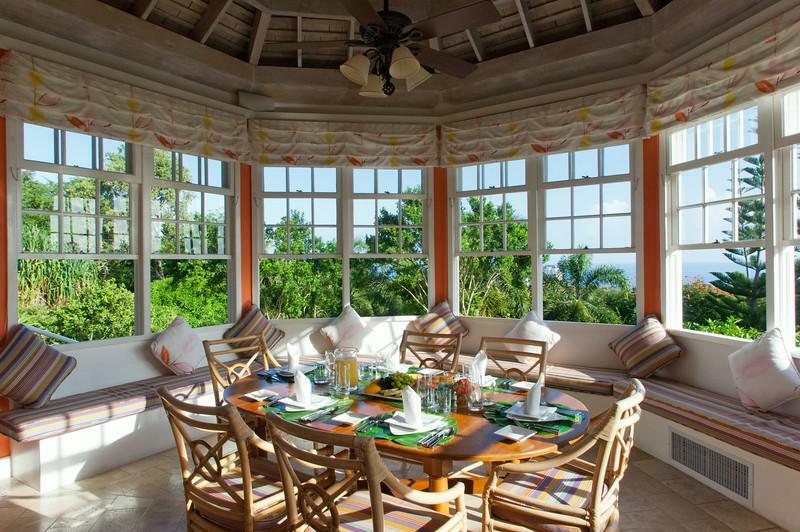 An expansive 750 square foot furnished verandah offers a glorious view of the sparkling ocean and a second dining table. 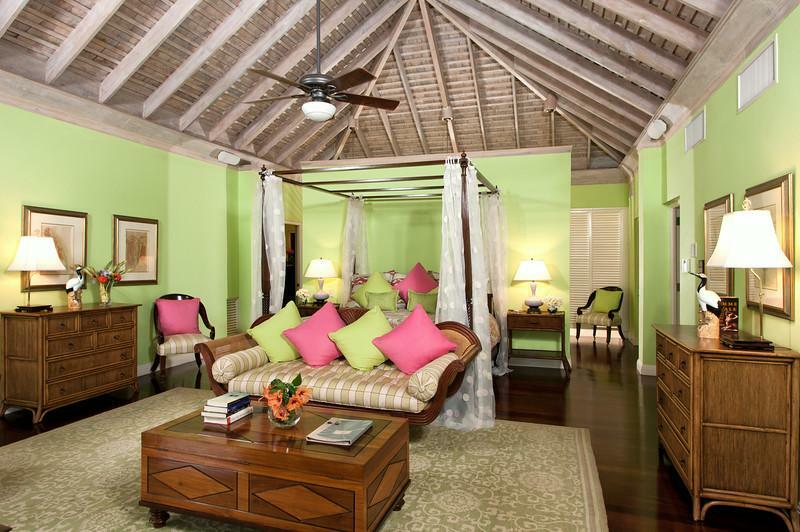 The Master bedroom is located on the ground floor; the large 400 square foot suite is furnished with a four-poster king-sized bed. 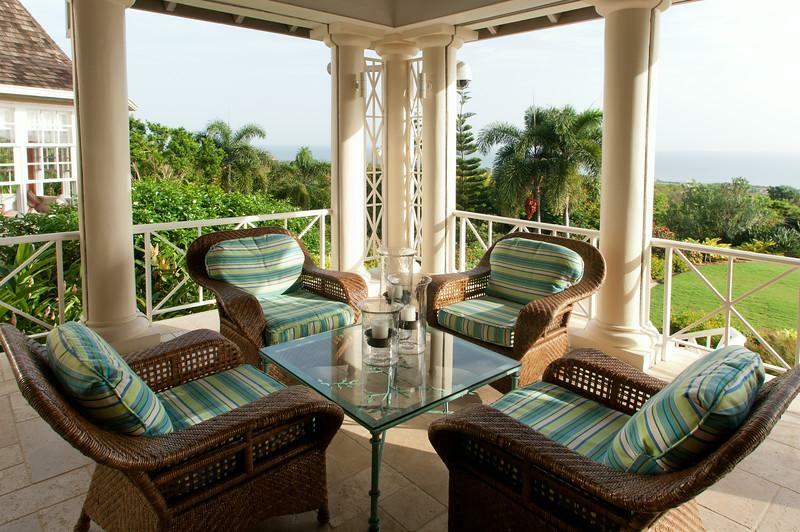 There is a private covered verandah furnished with comfortable seating and offers a fabulous view. The en-suite bathroom is quite spacious at 315 square feet and is equipped with his and hers sunken shower and Jacuzzi bathtub. 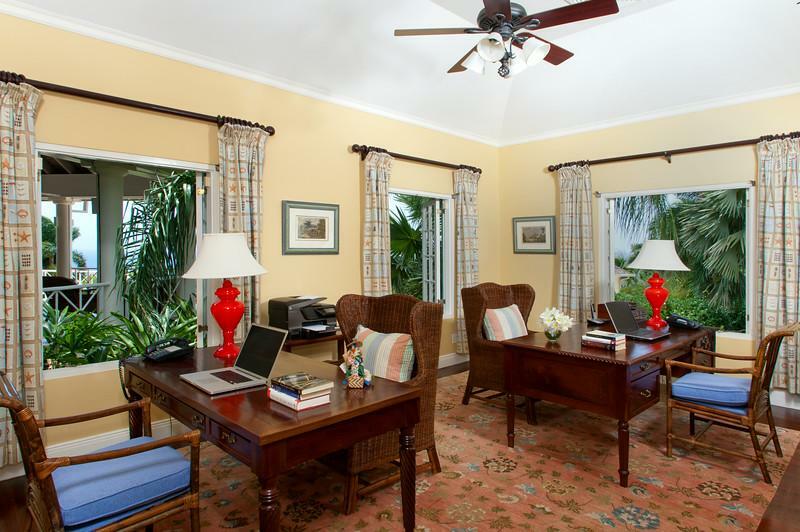 The adjoining office is spacious and is equipped with two laptops, fax, powder room, wireless printer and air-conditioning. Bedroom 2 & 3 are located upstairs. 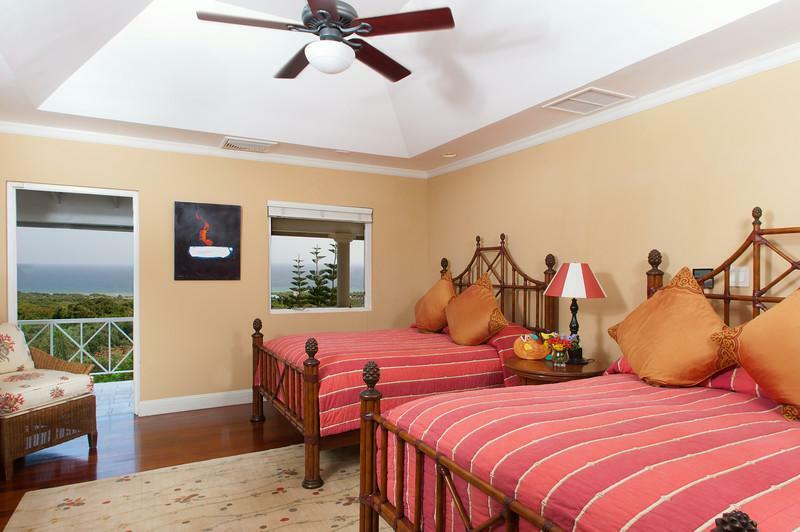 Both bedrooms are equally spacious at 400 square feet each and are furnished with two queen-sized beds each, making them suitable for parents with children and can accommodate up to 8 guests. 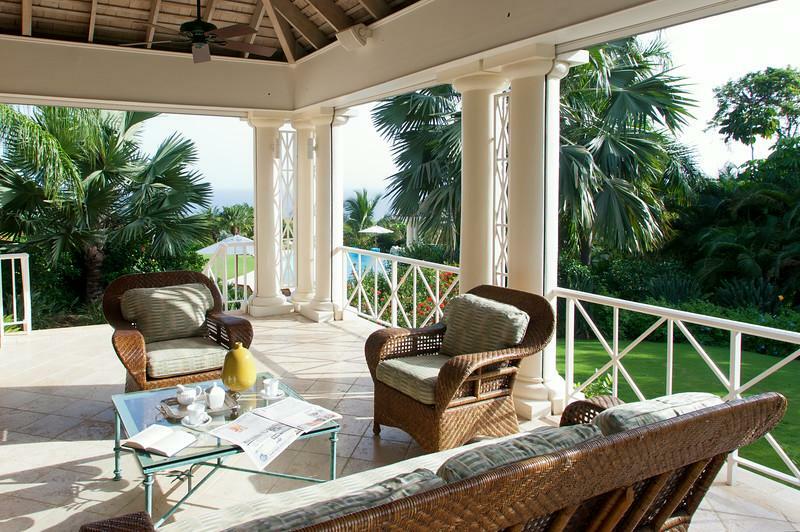 The rooms open into the interior hallway as well as the balcony which offer magnificent views of the Caribbean Sea. Each bedroom has an en-suite bathroom with tub and shower combination and a stone deck for sitting. The lovely cottage is located privately down a paved walkway from the main villa and has two lovely bedrooms, a living area and a kitchen. The cottage is centrally air-conditioned. The open-plan living room has a 42” Samsung SmartTV (Direct TV). 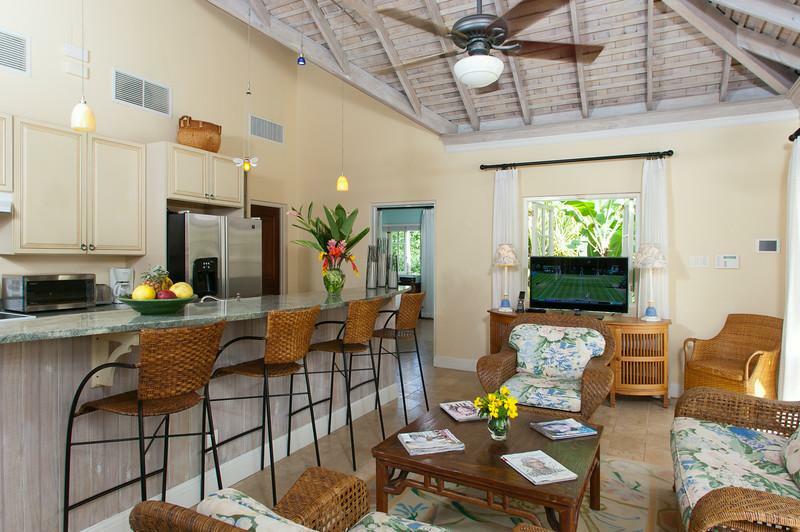 The fully-equipped kitchen has a granite breakfast bar, dishwasher and ice maker. 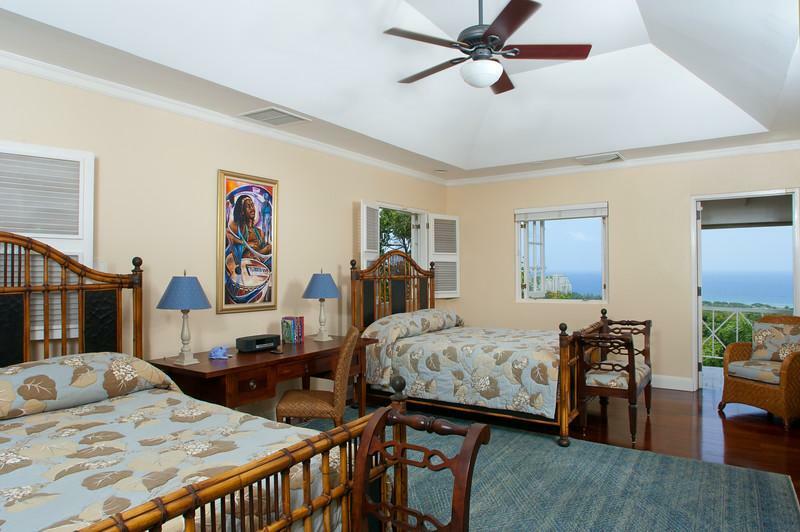 Both bedrooms are furnished with one king-sized bed each and one optional king or two twins. There are three bathrooms, two of which are tub-shower combinations and one walk-in shower. 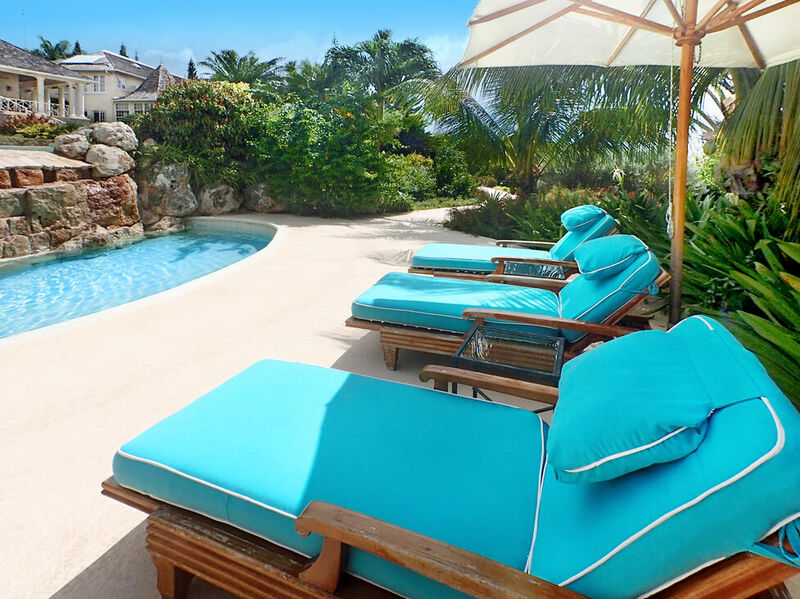 The cottage has its own covered patio with a table and chairs and opens onto the garden and the lower saltwater pool. The cottage is perfect for couples or families. A full staff service is available. A paved path leads to the playground that has swings, a monkey bar and a basketball hoop. 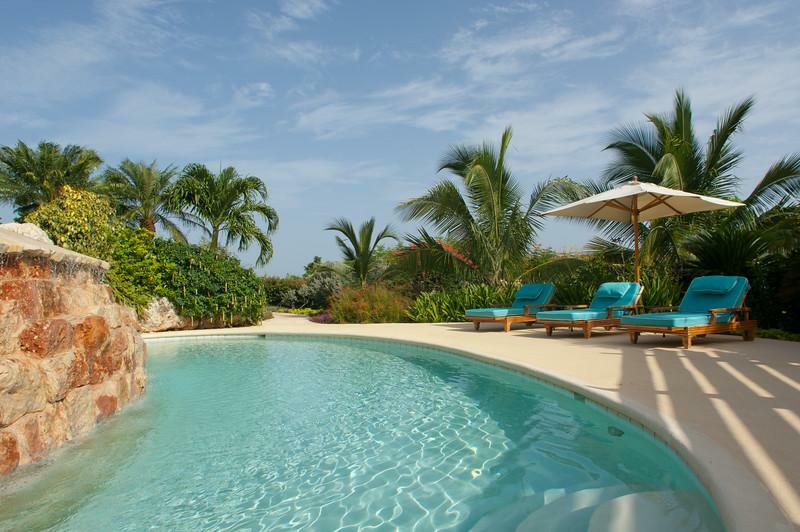 Kenyan Sunset Golf Villa and Jus Paradise are sister villas that create an eight-bedroom compound for large groups. This makes them ideal for family vacations or weddings. 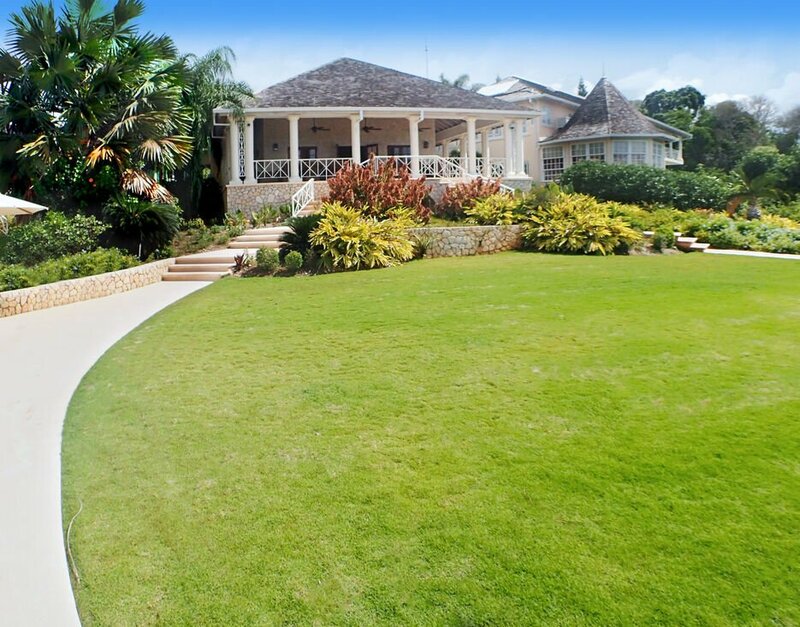 Glamorous 8,000-square-foot 5-bedroom private golf villa on 2 acres with separate 2-bedroom guest cottage! In the newest Rose Hall residential expanse of fine homes, Kenyan Sunset Golf Villa is designed for families and golfers. 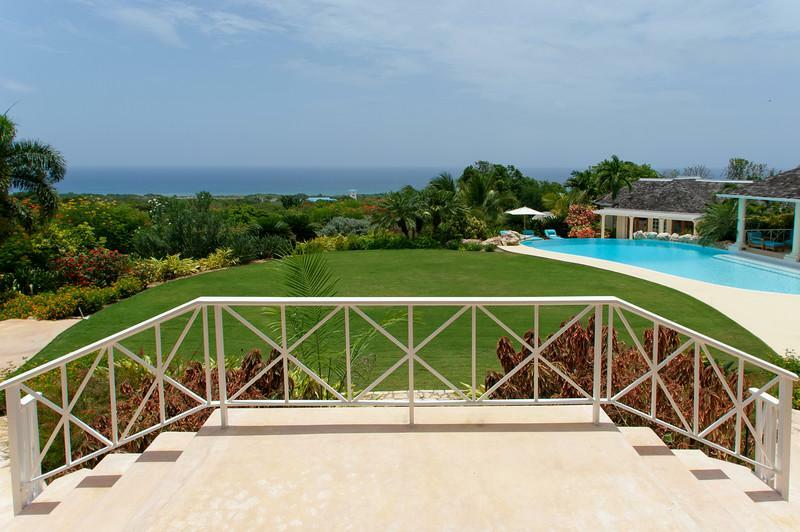 It sits on two acres bordering the famous White Witch golf course and has direct walk-on access to the 4th tee, virtually in your own backyard. The White Witch 4th hole is playable by Kenyan Sunset Golf Villa guests prior to starters reaching it and after all the day’s players are beyond the 4th. Five minutes away are two more notable courses: Cinnamon Hill and Half Moon. 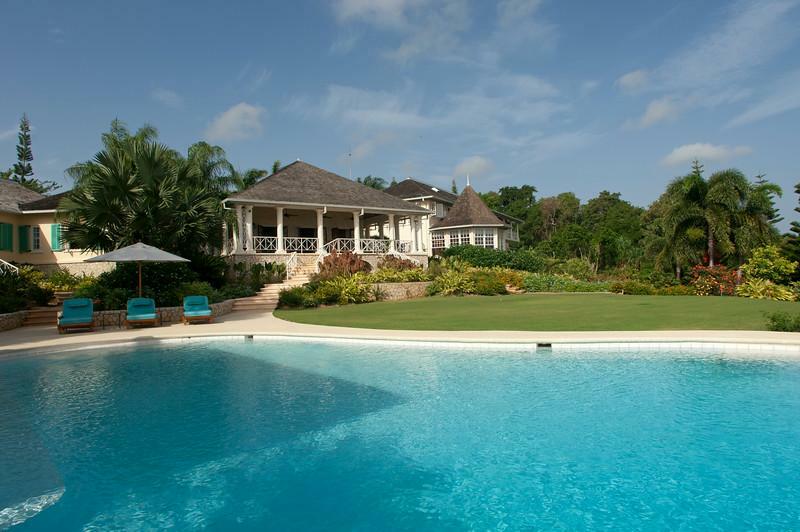 For larger groups, Kenyan Sunset Golf Villa’s sister villa is 3-bedroom JUS’ PARADISE, soon to appear on this web site. 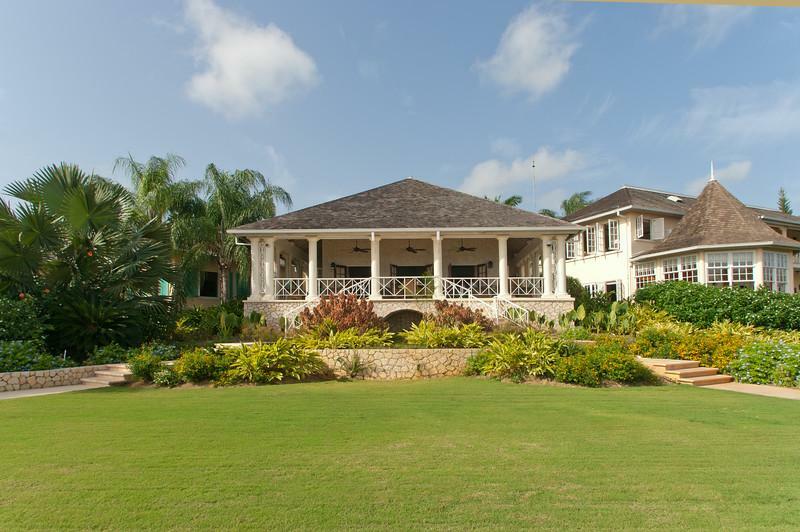 Together they create an 8-bedroom compound where all guests may dine together at either villa on request. 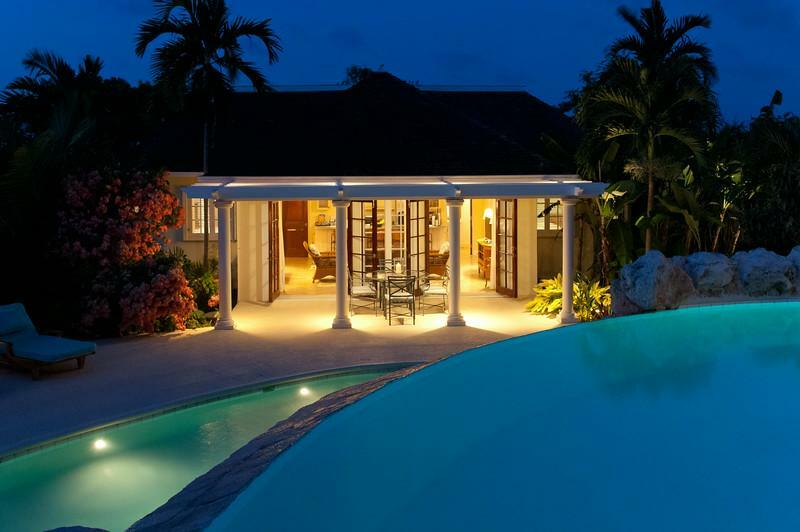 -Located in a quiet cul-de-sac in the gated Rose Hall Community. -Kenyan has an electronic gate to access the property. 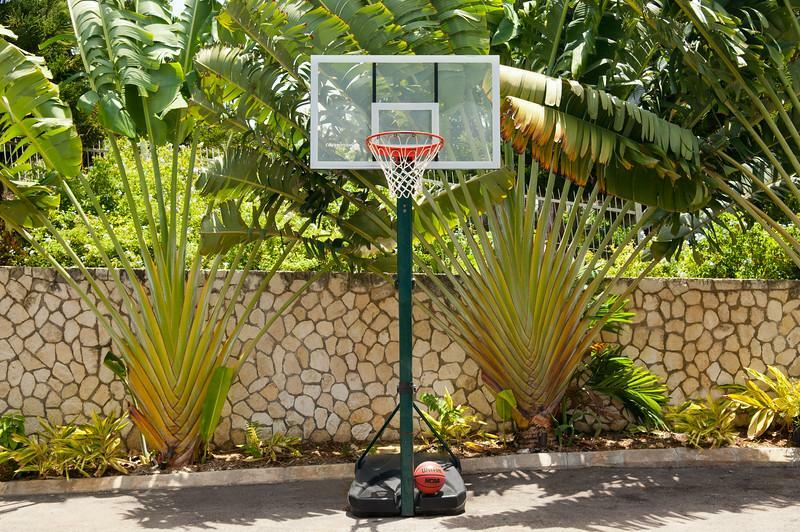 -There is a basketball area in front. 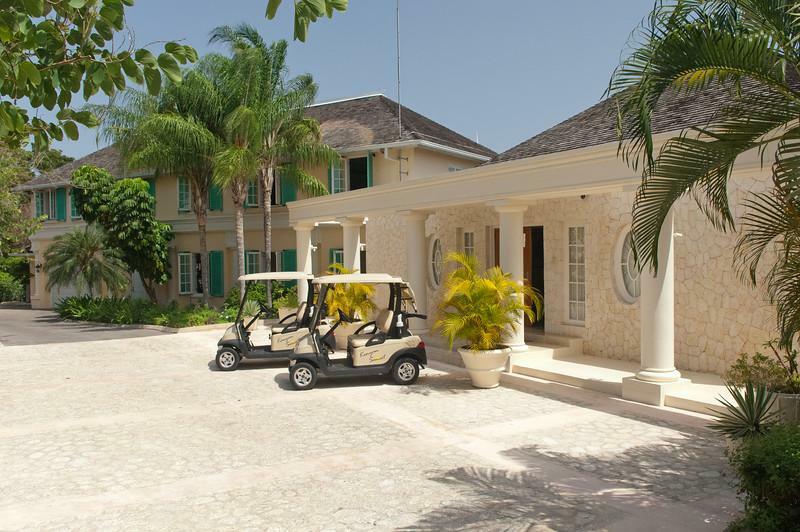 -The villa provides one set of golf clubs and golf cart to use on the golf courses. -Kenyan has a membership to the Half Moon Golf Course and White Witch Golf Course. 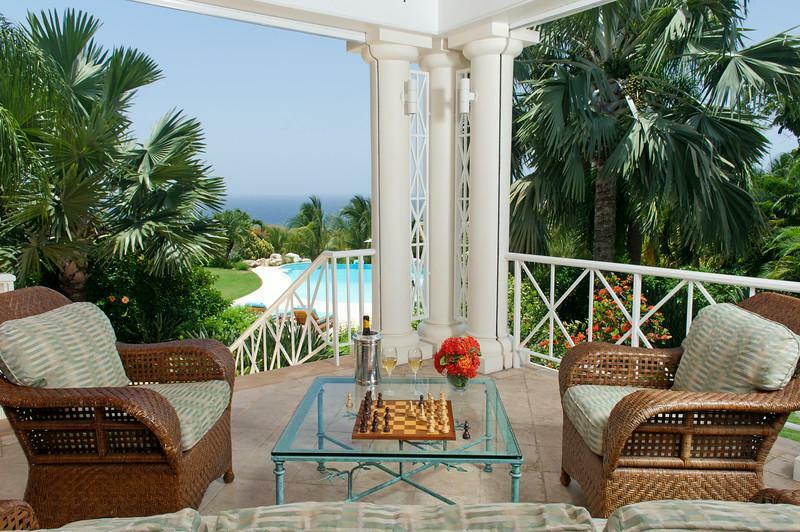 -Has it’s own office – saw photos of Obama who has stayed at this villa! -Bedroom 1 is luxurious and has king sized bed. 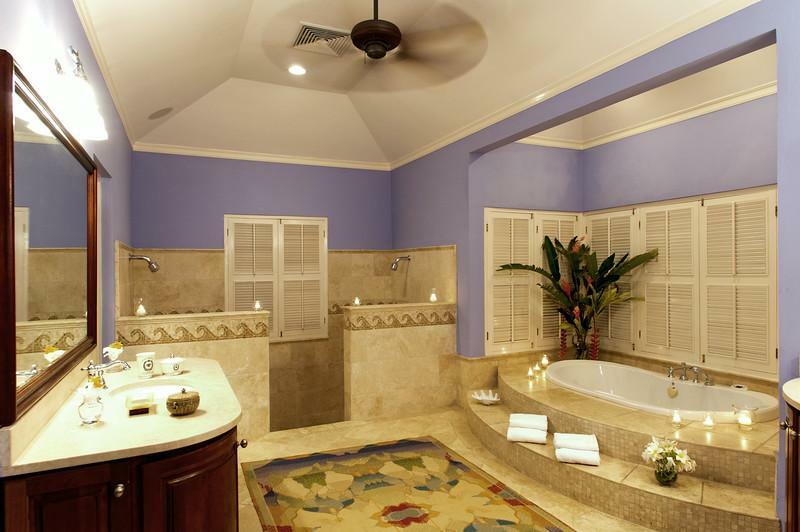 -Double shower head and jacuzzi tub. -The entire bottom floor right wing is the Master Bedroom and office. -Breakfast nook with tons of seating behind the kitchen. 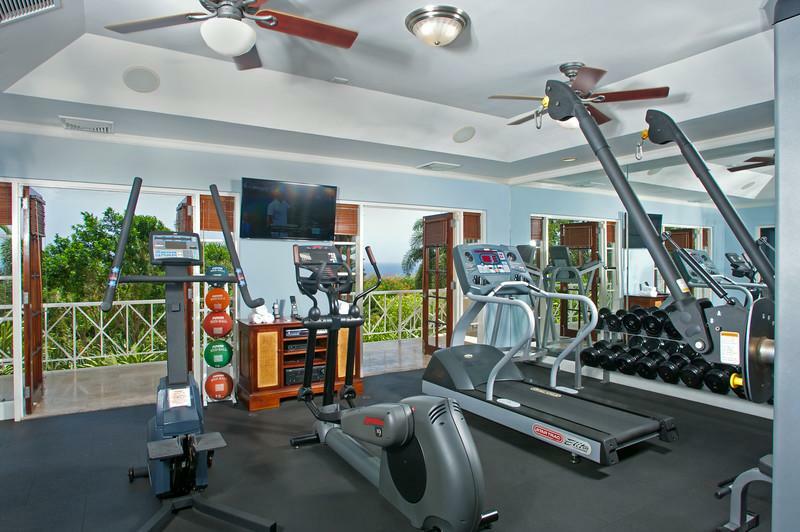 -Gym with pilates reformer, elliptical, treadmill, stair stepper, free weights and full bathroom. -Great view of the property with tons of fruit trees! 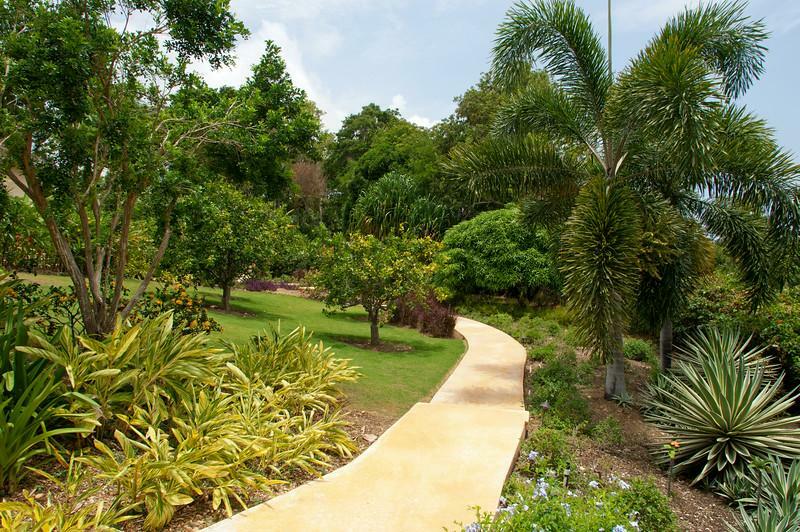 Orange, limes, mango, papaya, soursop and breadfruit trees! 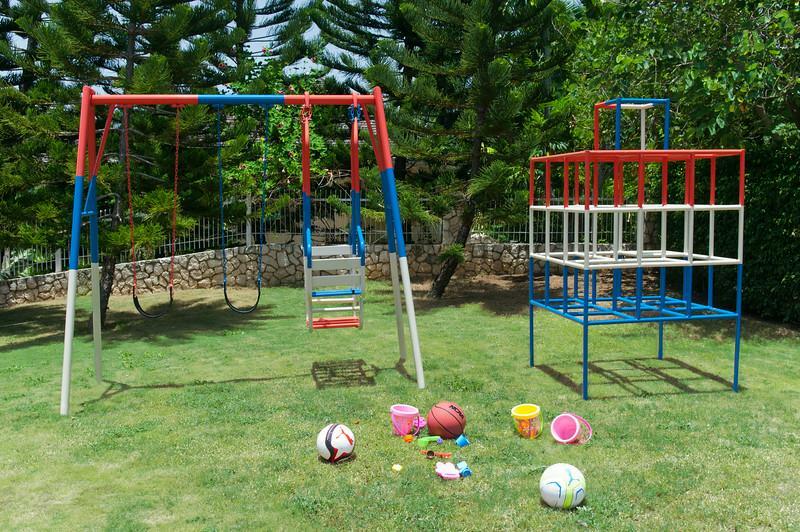 -Large lawn – great for kids! 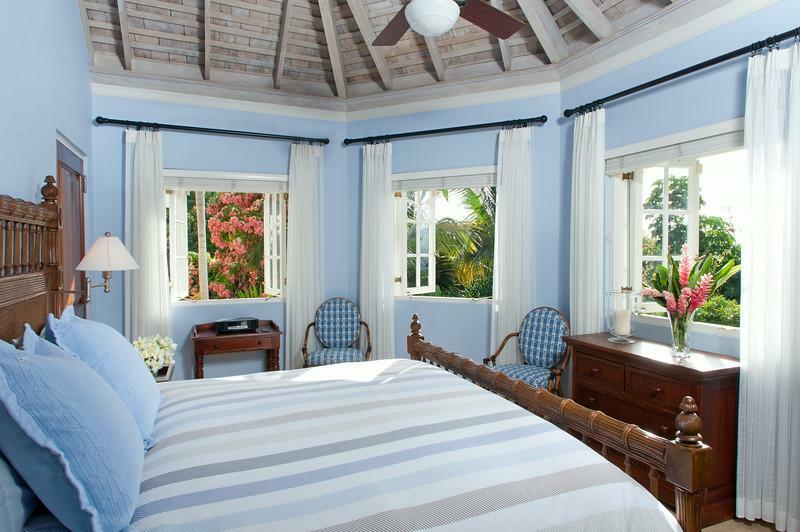 -The fourth bedroom in Guest Cottage has a king sized bed with ocean view and bathtub and shower. 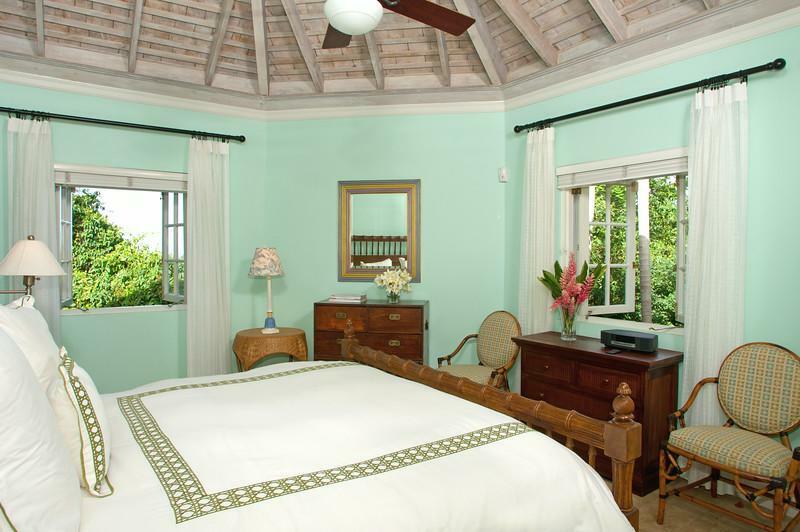 -The fifth bedroom in Guest Cottage has a king sized bed with one clean and bathtub and shower. -The fourth and fifth bedrooms share a kitchen and living room area – the bedrooms on either side of this living room area. 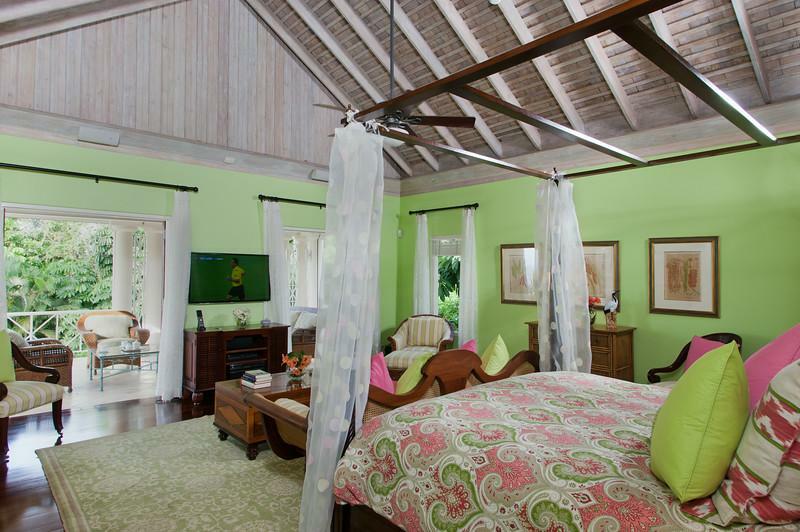 -Overview – Master Bedroom in main house with king bed, 2 bedrooms upstairs in main house with 2 queen beds each and 2 bedrooms in the cottage which are symmetrical with king bed each. 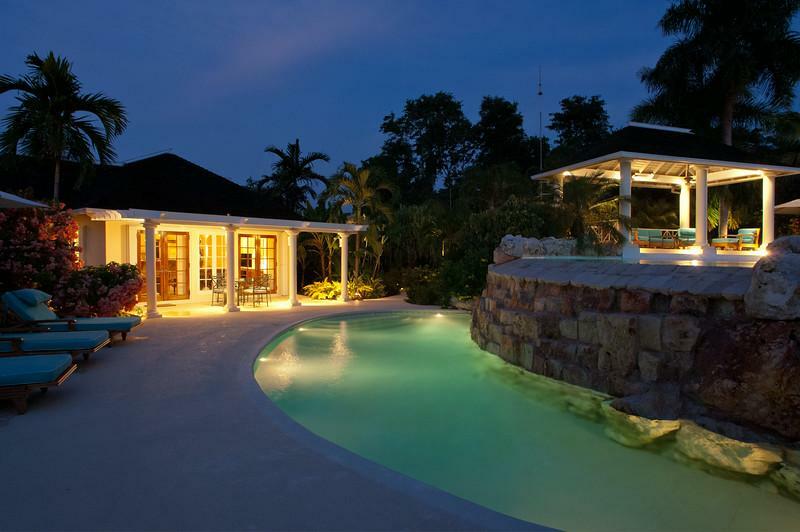 -This villa is on Hole 4 of White Witch Golf Course. -Nanny can be arranged at an additional cost. -Less then a 10 second walk to the Jamaica Dream which is next door. 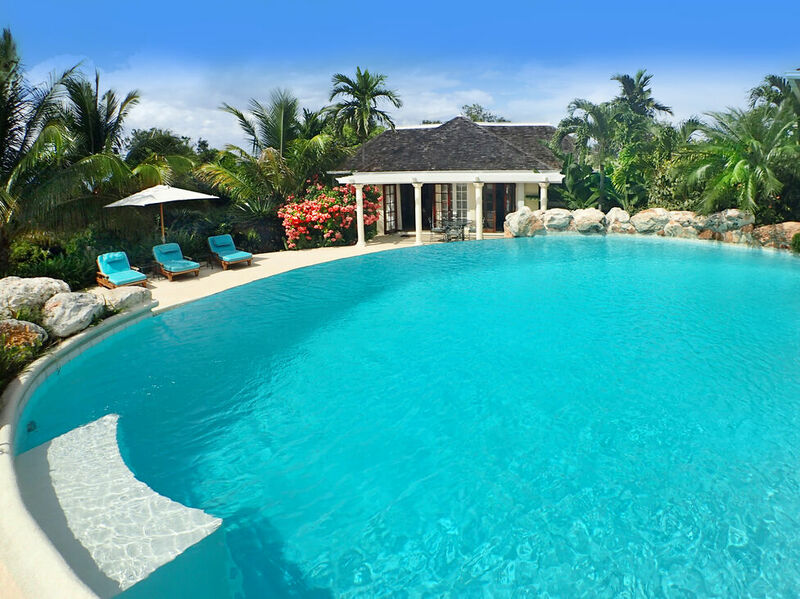 Then Jus Paradise on the other side of Jamaica Dream.